Akin to her bass wielding predecessors Stanley Clarke and Me’shell Ndegeocello, Ms. Spalding dives head first into funk-soul waters on a long-player which melds virtuoso musicianship with divine song-craft. Vacillating from electric (with her bridge pick-up cranked ala Jaco on a few cuts) to a resonant upright, and extended range, Spalding and her stunning roster of collaborators - Jack DeJohnette, Q-Tip, Joe Lovano, Billy Hart, Lalah Hathaway, and Lionel Loueke, to cite a few - waxed a timeless collection which brings a jazz appeal to the masses. 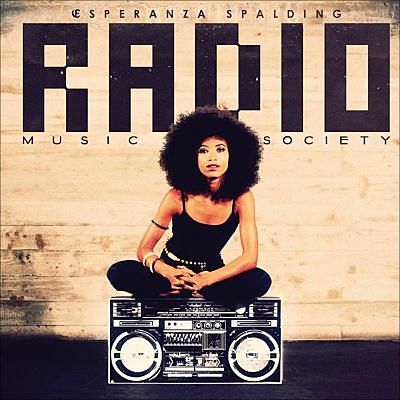 Esperanza nailed a Grammy for Best Jazz Vocal Album and Best Instrumental Arrangement ("City of Roses"), and scaled the Billboard Top 10, and #1 on the Top Jazz Albums surveys. Her “Black Gold” video from this platter, co-starring vocalist Algebra Blessett, is spectacular as you would expect from this lioness of the bass: http://bit.ly/19WsXmk Jazz is alive and well in the 21st Century….